I have just returned from Loveland, CO, where we held our annual site visit at the location of the 37th annual Saab Owners’ Convention in July of 2019. We met with most of the members of the SCNA board as well as members of the Rocky Mountain Saab Club (RMSC). RMSC has built a tradition of hosting the convention every ten years, and we are working together to make this another amazing convention. 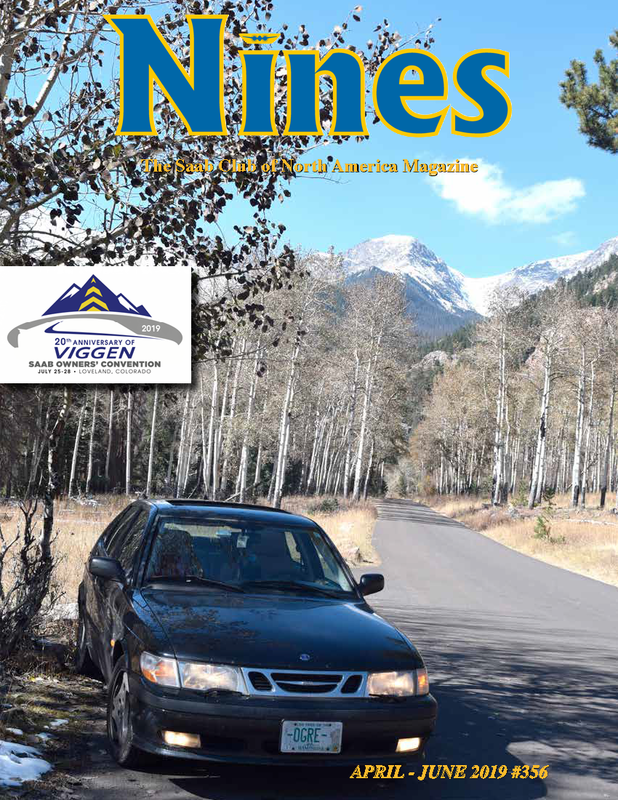 Back in 1999, the year the Viggen model was first introduced in the US, the convention was here in Colorado. As we return to the Rockies twenty years later, we developed our theme around celebrating this iconic model. We hope to feature some of the nicest Viggens by offering a limited “Viggen VIP Exclusive Program,” which would allow a participant to feature a Viggen inside the convention hall as well as other special enhancements to your SOC experience. For more details, check our registration site at saabconvention.com, where you can find the link to reserve hotel room in addition to other registration updates in the days and weeks to come. Meeting with SCNA board members in person, as well as with the active and dedicated members of RMSC, is a unique and important opportunity not only to discuss the upcoming convention, but to share ideas and develop a vision for the Saab Club of North America moving forward. SCNA recognizes the importance of strong local clubs as well as official service centers and independent shops alike to keep the cars looking and driving their best. We thank Orio Saab Original parts for their continued commitment to SCNA and to the hundreds of local service centers who rely on them for quality parts at affordable prices. This summer, the convention will take place from July 25th – 28th at the beautiful Embassy Suites Convention Center in Loveland, CO, about an hour north of Denver. In the days before the event, SCNA is organizing a visit with Tom and Patti Donney at the Saab Heritage Museum USA in Sturgis, SD. Tom and Patti have invited Saab convention attendees, family and friends beginning on Tuesday, July 23rd to view the museum as well as a take a driving tour of the surrounding areas. If you have never visited Mt. Rushmore and the Black Hills of South Dakota, you will not want to miss the mild summer weather, iconic scenic drives, and historic towns and landmarks in the area. For more information about this and other pre-convention events, check our convention website or email me directly at president@saabclub.com. Thank you again for your commitment to Saab and your continued support of SCNA.